New report says South Asian gallery sales are on the rise but does that ring true at India Art Fair? 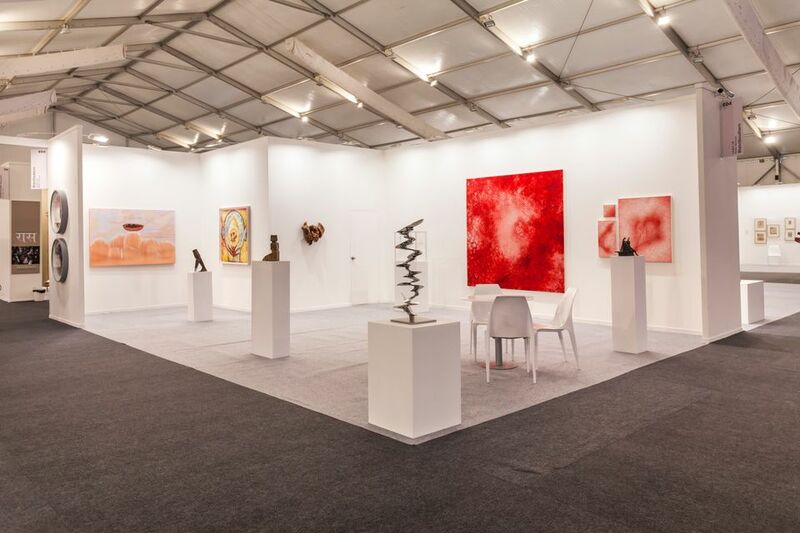 As India Art Fair (IAF) opens its doors for its 11th edition it seems that the South Asian market might have finally found more solid ground. 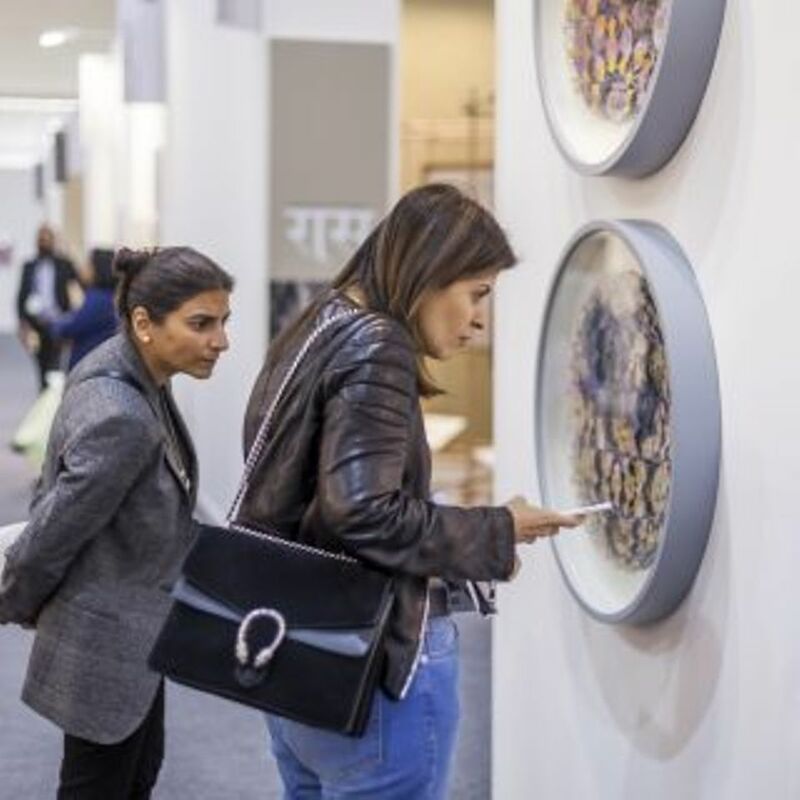 IAF (1-3 February)– India’s largest Modern and contemporary art fair–sees 75 galleries gather in New Delhi, many of which report an increased level of confidence in India’s art market compared with previous years. It is still unclear who will buy the 65% majority stake in the fair from MCH Group, which remains “indefinitely committed” to the event until a new buyer is found. But the tone of both galleries and buyers suggests that this uncertainty does not necessarily spell trouble for the future of IAF. Balancing the importance of promoting Indian artists with the desire to open Indian art up to a global audience, the fair’s director Jagdip Jagpal remains committed to her promise that at least 70% of the participating galleries are South Asian—the proportion has even increased this year. Experimenter Gallery from Kolkata reported strong sales at the fair’s preview day on 31 January, selling almost the entire booth. Sold works included a series of small bronze sculptures by Adip Dutta, Sites for Excavations (2019), and an oil-on-canvas by Ayesha Sultana, Untitled (2019). Prices at the stand range from around £1,500-£38,000. Returning for their second consecutive year are the blue-chip galleries Blain Southern and David Zwirner, suggesting continued international faith in the South Asian market. “There is absolutely an increase in interest from last year. People are more interested and more engaged this time around, and it’s showing” says Sascha Welchering, the associate director of Blain Southern, which has sold a thread-on-canvas work, Skin (2016) by Chiaru Shiota, and a copper sculpture, Brother Animals (1993), by Lynda Benglis. Others are more cautious. Newcomers to the fair Berlin-based Neugerriemschneider gave a lukewarm response when asked about the preview day’s sales. The gallery's founding director Tim Neuger, who declined to reveal whether any works had sold on the preview day, describes Neugerriemschneider’s venture into IAF as “an experiment and a test”. The gallery has brought works by international artists including Ai Weiwei's Porcelain Vase (Journey) (2017). The Book publisher Taschen, which also has a presence at the fair for the first time, is presenting a “sumo-sized” book of Tibetan murals. Priced at £9,500, each of the 998 copies has been signed by the Dalai Lama. Taschen’s UK director Yusuf Butolli says that “the Indian art market has turned itself on for Taschen like LED lights in a circuit board”, adding that the success of this year’s venture will mean a likely return to future editions of IAF. This hopeful atmosphere is boosted by ArtTactic’s 2019 South Asian Art Market Report, released yesterday (31 Jan), which states that South Asian gallery sales have increased by 9.1% at an estimated $114m, which helps move South Asia from ninth to sixth place in ArtTactic’s global outlook rankings. The report does however temper the excitement of this positive growth by noting that the risk of speculative buying has increased. Although significantly lower than its peak in May 2008 when ArtTactic’s speculation barometer was at 8.3, it jumped from last year's reading of 4 to 5.7. Furthermore, the report states that the South Asian Modern art market saw a significant growth of 39.7%, far stronger than the growth of its contemporary art market. The fair addresses this discrepancy through its new layout, which presents Modern artists such F.N.Souza in a designated section towards the back of the building, allowing living artists to take the spotlight at the front. Jagpal underlines that the fair’s role is “to create a primary market in contemporary art”, which is evidenced also by the fair’s promotion of public galleries and non-IAF related events around the city. IAF's attempts to deal with potential pitfalls within the Indian art world and commitment to nurture a healthy ecosystem of artists, collectors and galleries suggests that the fair is likely to survive MCH’s impending sale.